Last week I interviewed Ann Rea. Ann has the rare accomplishment of being an artist who went from beginning painter to highly profitable artist in just a year. In this interview, Ann talks about how she did it and how other artists can do the same. Great interview Ann. Your strategies are sinking in and I feel lucky to have a full hour of your time and attention focused on me and my art bi-weekly! It is amazing what happens when you focus……. My right brain’s wheels are turning faster because of you. Thank you. This sounds like it must have been good, but it doesn’t load. I’m on a T1 with no problems loading from youtube & the like so I doubt it’s me. if you right click on it, you can do a “save as”, It wouldnt play for me on the website, but I was able to download it and play it on my computer. Very good interview with Ann Rea. Clearly she is a very focused person. This has no doubt contributed to her success! Loved the interview!! Would love to hear it again and again 🙂 How can I link the interview to my website. Would appreciate anything you can tell me. Thanks! That was really good. Thank you. I liked the idea of linking the daily schedule to the business plan. Thank you Ann Rea for your thoughts and information! I am so excited to know there is someone who has the same convictions I do about galleries and marketing your own art! It was an “aha” moment for me when I realized I needed to use the gift that was given to me. I can now sell my art easily because I realized it is not so much about me as it is about my gift! I was excited to possibly listen to this interview but even though I thought I had successfully manually downloaded the quicktime plug in I still wasn’t able to watch the interview. Any suggestions? Marie – have you updated your browser? Ann Rea’s presentation on art marketing was very helpful and encouraging. I am a watercolor artist trying to shape a business plan in order to be successful and earn an income. Thank-you. I thouroughly enjoyed the session with Ann! Very informative about being organized, and the importance of having a plan. Not my forte, but I am trying to learn. In fact that is what I am concentrating on for a bit. Mark you have a new pest, lucky you! Very inspirational interview! 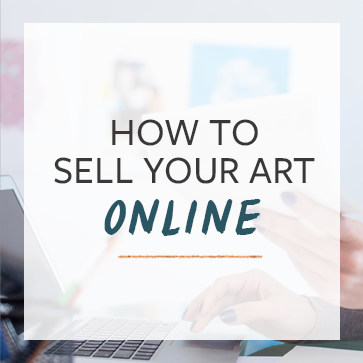 Too many artists assume that to be a “real” artist, you have to avoid thinking about your art as a business. It’s very refreshing to hear from business-minded artists. Thank you.